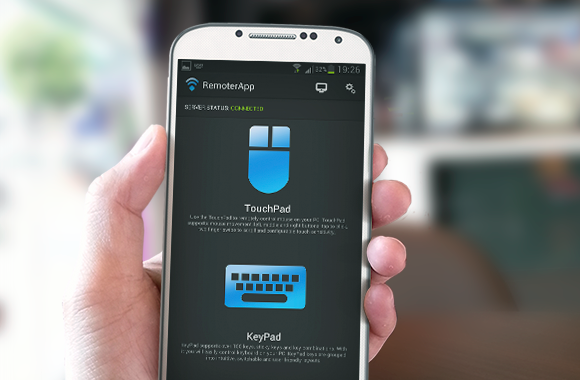 You’ve probably heard of the Remoter App, a simple app that transforms your smartphone into a powerful remote for your computer. It was originally created by guys at Faculty of organisation and informatics (FOI) in Varaždin, Croatia. Since we had some successful cooperation with them, FOI allowed us to create our own Remoter mobile app – and we brought it to Samsung devices and it has S-Pen support impleneted as well. Planet 1107 had some previous Android experience, but none with the Samsung’s S-Pen. This was actually a challenge for us which we took on because we liked the S-Pen SDK and we wanted to see how it works. 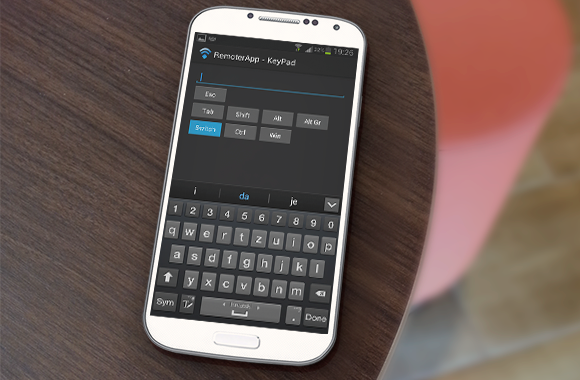 So, the RemoterApp With S-Pen Support was born. The RemoterApp is pretty much already known application, The Next Web wrote about it a while back while it was still a single platform application. 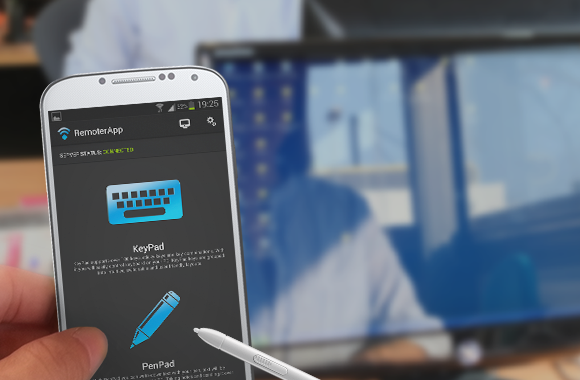 Today, RemoterApp with S-Pen Support will help Samsungs’ users to easily control their computer from a couch with their smartphone. We’ve implemented some nice features into the app: beside the basic mouse and keyboard control, you can write the text with your S-Pen which will be OCR-ed and transfered to your computer. So if there’s a note you need to make, this is the easiest and most intuitive way to do it while sitting away from the computer. This was a great project for us which brought us closer to working apps for the Samsung platform. We really liked the S-Pen SDK and we’d like to use it more and create some more fun and useful apps which will be available across many Samsung devices.